The return of Frozen Charlotte via this limited edition doll (prototype depicted) will bring a welcome little chill when she arrives on your doorstep during the dog days of August. 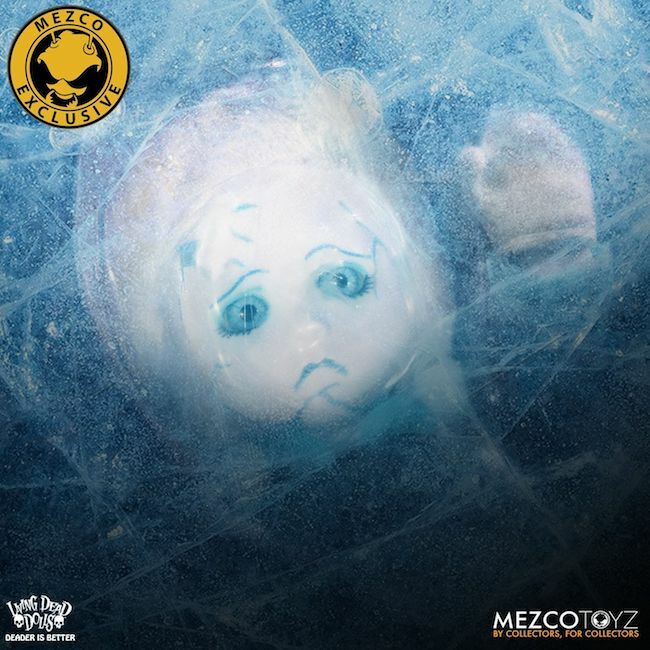 Mezco Toyz is currently taking pre-orders on this exclusive Living Dead Dolls Resurrection XII doll. 2018 San Diego Comic Con attendees can get their frosty fingers on this coffin display boxed collectible by visiting the Mezco SDCC booth #3445 – while supplies last.